i just love seeing all of your photographs. With a little one travel is a while of for me, but i feel like i am living out a little mini trip in my study...thakyou. Great composition - I love your photos! This is a common sight for me. 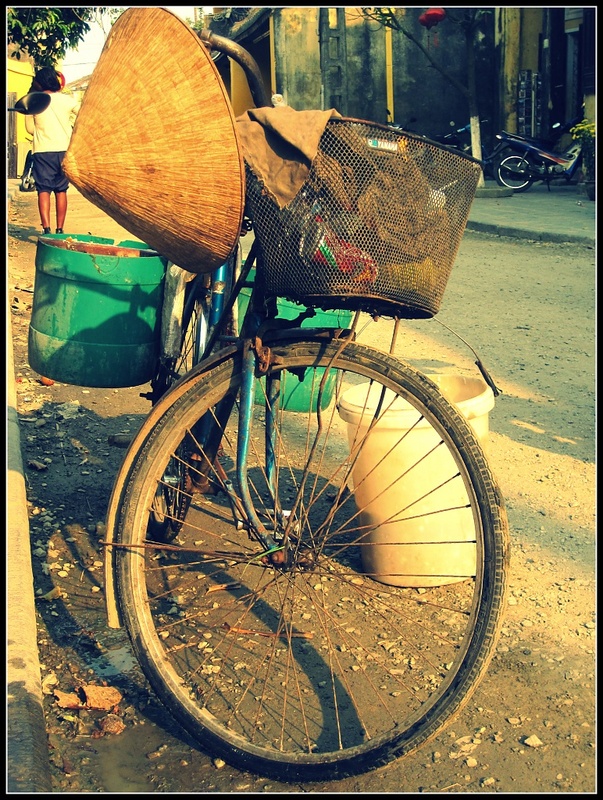 I love photographing bikes with conical hats on them or even better grandpa's carting grandkids around on them. Great photo! this is an all around great picture! well shot!